We are putting up our Easter decorations today, which I am so excited about. 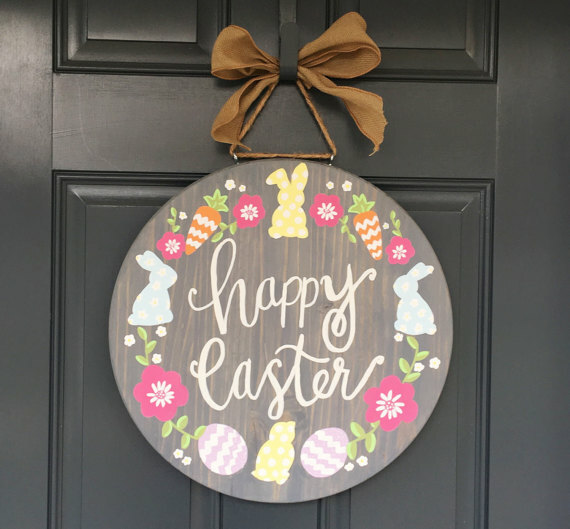 Easter is my favorite holiday, and though we don't decorate a lot, we do have some things to celebrate the day. 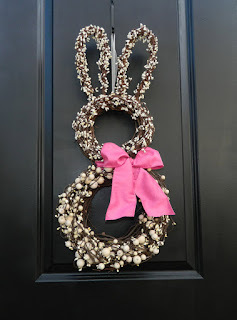 I do love an Easter bunny, and Etsy has lots of beautiful and unique bunnies to decorate with. 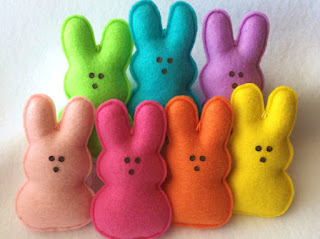 If you want a greener Easter, check out my post about how to Green your Easter Basket for ideas and shopping lists. RayMels (Missouri) makes these wood and subtle bunnies. Would look great in a window frame, and the wood could go with a lot of things. GingerSweetCrafts (New Jersey) If you love peeps, except the part where you have to eat them, these felt bunnies might be for you. 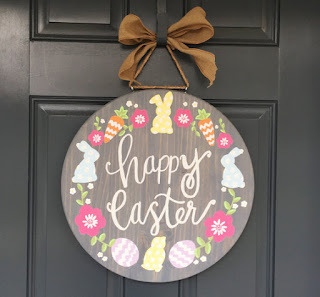 IfTheSignFits (North Carolina) is so etsy they should make it the welcome page. 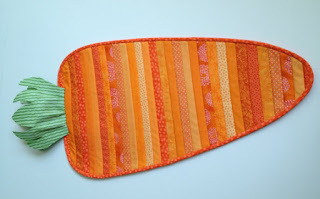 Chevron on pastel carrots and swirly text? Come on. 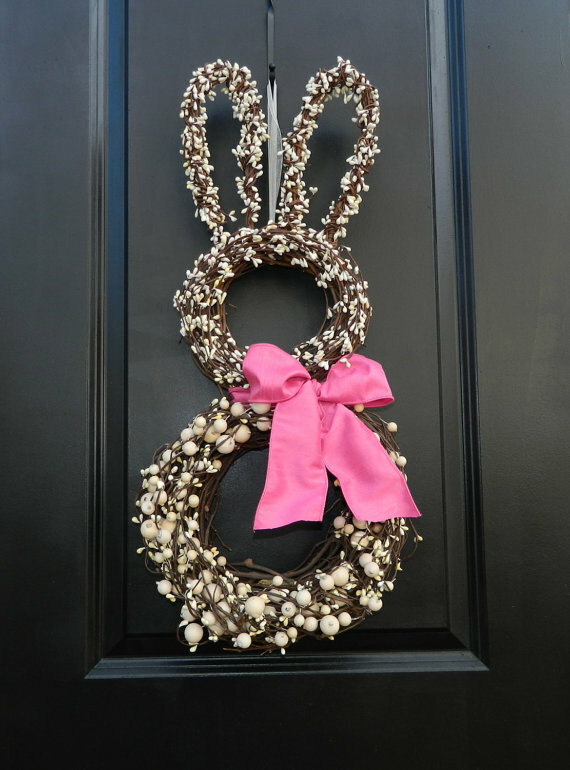 EverBloomingOriginal (Maryland) makes these bunny wreaths which are cute like they mean it. Doesn't it feel like something born on Etsy? Primsandproper (South Carolina) makes a carrot table runner. I know this isn't technically a bunny, but I think anyone would get the point. 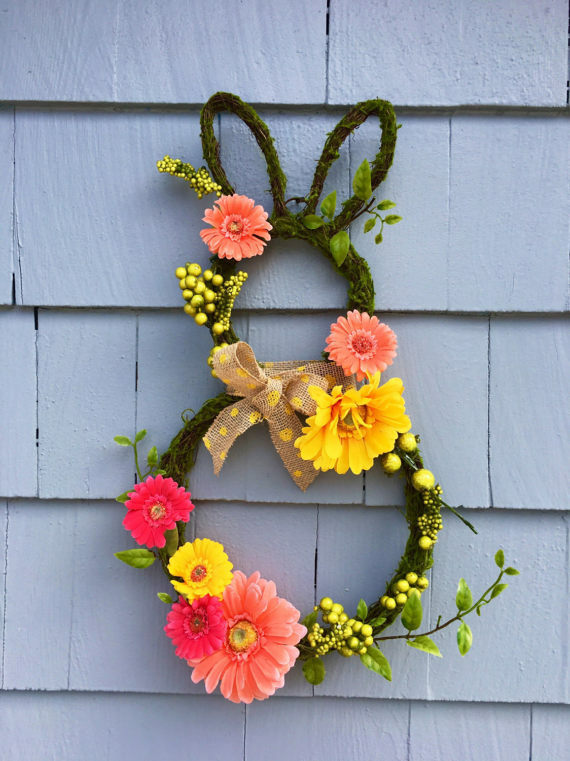 So beautiful and bright and springy. Could also be great to celebrate vegetable-eating.